This brand new 10,000 +/- sq. 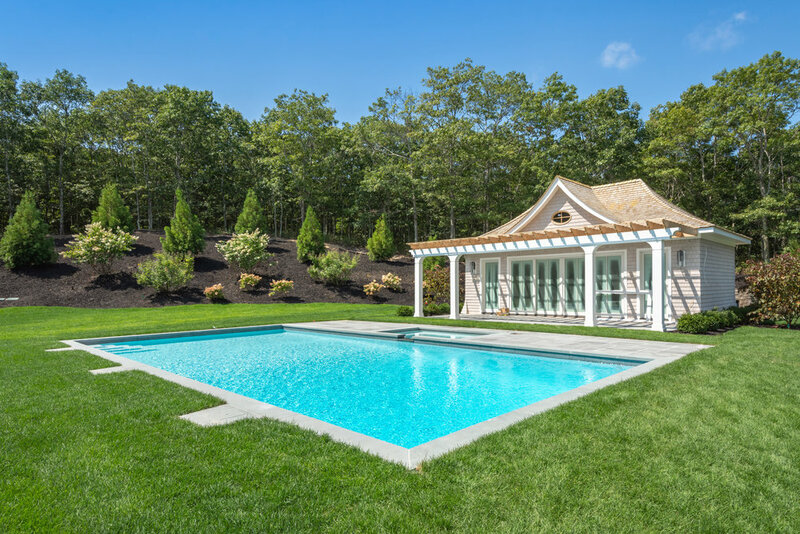 ft. home commands tremendous presence, sitting majestically atop its own 6 acre hill, on a quiet cul-de-sac that includes some of Watermill North's most exclusive estates. A collaboration between developer, builder and design team, this estate demonstrates how master craftsmanship, amenities and style can come together to create a one-of-a-kind home. As you enter the front gates and ascend the private drive into a formal courtyard, the home's massive stature is impressive. 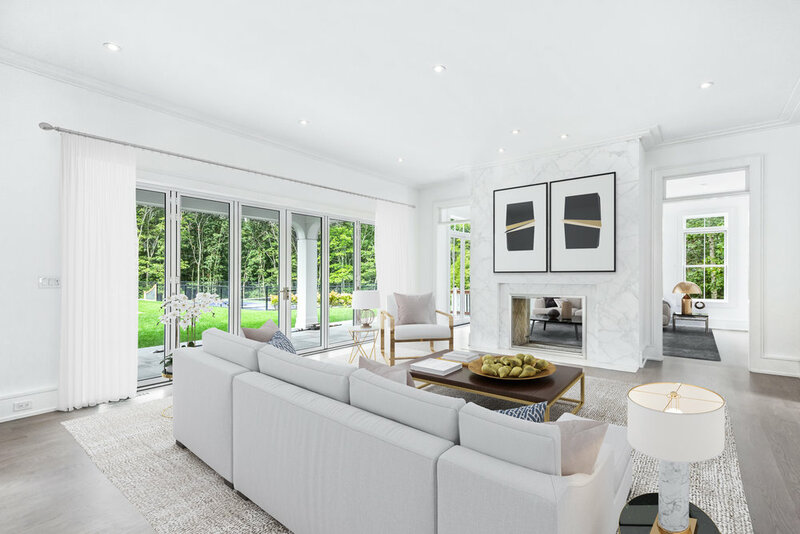 Yet behind the grand facade, the design team has incorporated crisp, modern finishes--including Thassos, slab Calacatta, light gray oak floors and modern millwork designs--to create a custom feeling that makes this grand estate a home. The two-story Foyer leads into a fantastic Great Room, with Nano Doors that open the entire room to the backyard. A Chef's Kitchen, Breakfast Room, Great Room and Living Room all open to each other and to the outside for easy indoor-outdoor living. The first floor also features a Jr. Master Suite large enough to serve as a second master bedroom. Upstairs features an impressive 1.5 story Master Suite with spectacularly designed Master Bath, Office and Large Balcony centered on the estate-like yard. There are 4 additional upstairs ensuite bedrooms--all gracious in size and suite-like by design. And the finished Lower Level offers tremendous versatility. The lower level offers a Family Room (with sliding glass door egress), Theater, Gym with Sauna, 2-3 additional bedrooms and future wine closet. And then there is the outdoors, which puts the property in a league of its own. A resort-like yard features different entertainment areas, with Covered and Uncovered Patios, North-South Tennis, Pool, Hot Tub, and large Pool House with kitchen. Set privately among other 5+/- acre estates where the only noise you will hear is wind on the trees. And speaking of landscape, the developer and designer team collaborated with Marders to create a fabulous and cohesive design with mature landscape for a turnkey move-in experience. This hill-top estate offering--on one of the last magnificent, quiet estate-sized parcels--is something that could never really be re-created and will not last long.